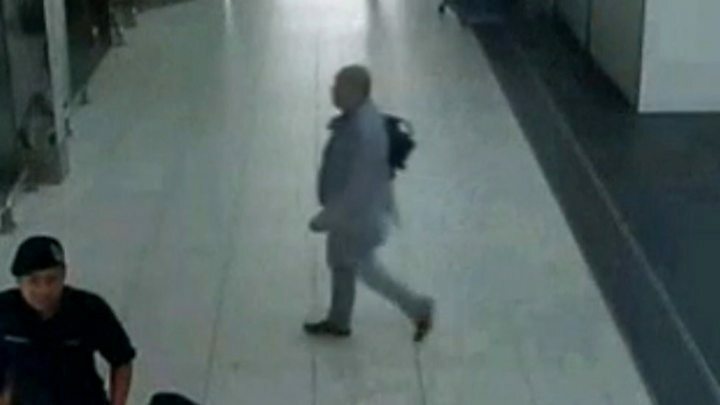 The airport terminal where the half-brother of North Korea's leader was killed with a nerve agent has been declared free of any "hazardous material" by Malaysian police. Security teams in protective suits had earlier swept the area. Malaysia's health minister said that an autopsy suggested the toxin used to kill Kim Jong-nam caused "very serious paralysis". Tests show Mr Kim was killed with the highly toxic nerve agent VX. An Indonesian woman arrested for the murder has said she was given 400 Malaysian ringgit ($90; £72) to carry out a prank. Siti Aisyah, 25, told Indonesian embassy officials that she was given the cash to smear Kim Jong-nam's face with "baby oil" as part of a reality show joke. VX is classified as a weapon of mass destruction by the United Nations. A drop on the skin can kill in minutes. Who could be behind the attack? 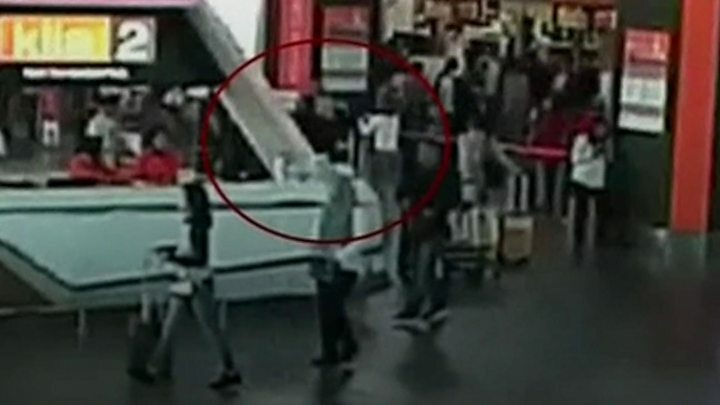 Mr Kim died two weeks ago after two women accosted him briefly in a check-in hall at Kuala Lumpur International Airport's low-cost carrier terminal, known as KLIA2. Health Minister S Subramaniam said the discovery that the VX toxin was used confirmed the hospital's autopsy result, which suggested that a "chemical agent caused very serious paralysis", leading to death "in a very short period of time". The airport has been swept for toxic chemicals by various specialised police teams, forensic experts, the fire department's hazardous materials unit and the Atomic Energy Licensing Board. "As a result of this screening process done we confirm: number one, there is no hazardous material found in KLIA2. Number two, KLIA2 is free from any form of contamination of hazardous material. 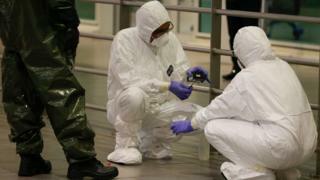 And thirdly, is KLIA2 is declared a safe zone," said Abdul Samah Mat, the police official heading the investigation. There is widespread suspicion that North Korea was behind the attack, which it strongly denies. A Vietnamese woman and a North Korean man have also been arrested in connection with the killing. The Vietnamese foreign ministry confirmed that the Vietnamese national being held was Doan Thi Huong, born in 1988, saying she had told officials she thought she was taking part in a television prank. At least seven other suspects are wanted for questioning by police, including Hyon Kwang Song, 44, second secretary at the North Korean embassy in Kuala Lumpur. After a 30-minute meeting with Siti Aisyah on Saturday, Indonesian Deputy Ambassador Andreano Erwin said: "She only said in general that somebody asked her to do this activity. She only said in general she met with some people who looked Japanese or Korean. "According to her, that person gave her 400 ringgits to do this activity... She only said she was given a kind of oil, like baby oil." The officials said they did not see any physical signs that the suspect had been affected by the chemical. Malaysian police say the attackers had been trained to immediately wash their hands after the attack. Some experts have suggested that they might have each smeared two different non-lethal elements of VX, which became deadly when mixed on Mr Kim's face. What is the deadly VX nerve agent? The well-travelled and multilingual oldest son of late North Korean leader Kim Jong-il, he was once considered a potential future leader. He has lived abroad for years and was bypassed in favour of his half-brother, Kim Jong-un. He had been travelling on a passport under the name Kim Chol. North Korea has yet to confirm that the deceased was actually Kim Jong-nam. For many years, it was believed Kim Jong-nam was being groomed to succeed his father as the next leader. But that appears to have come to an end in 2001 when Kim was caught sneaking into Japan on a fake passport. He later became one of the regime's most high-profile critics, openly questioning the authoritarian policies and dynastic succession his grandfather Kim Il-sung began crafting in 1948.